Welcome to my new series this year, Sundays with Starbucks! It's no secret I am obsessed with coffee, and especially Starbucks. I love their branding, their stores, their food, their customer service, their social community, everything. And I also love enjoying a warm cup of coffee leisurely every Sunday morning. 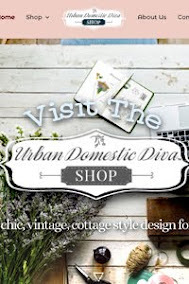 (I actually enjoy coffee every morning-how else can I keep up with being an urban domestic diva!) But Sundays are always lazy, cozy and slow-the best time to really get to know various blends and brewing approaches. I started my husband and I off on this Starbucks blend for my Sunday series rather than some of the other milder or medium blends, because my husband likes a cup of coffee that could grow hair on your chest, and he is very picky about this. As my daughter says when she feels adventurous and takes a sip of his coffee, "It's a punch in the mouth." I am happy to report my husband really liked this blend a lot, and it isn't a punch in the mouth. It feels more like a bear hug in your mouth. Does that sound weird? Well, try it and you'll see. Trust me. A fuzzy, chocolate brown bear hug. It is bold, yes. This isn't for novice coffee drinkers. 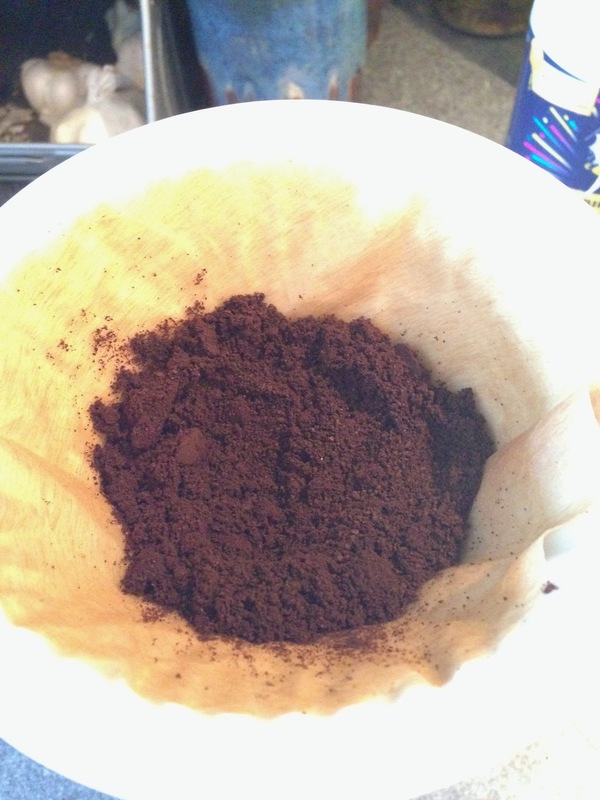 But there are some rich, chocolate notes to this blend that make it creamy and smooth. Think chocolate. That's what this blend is about. 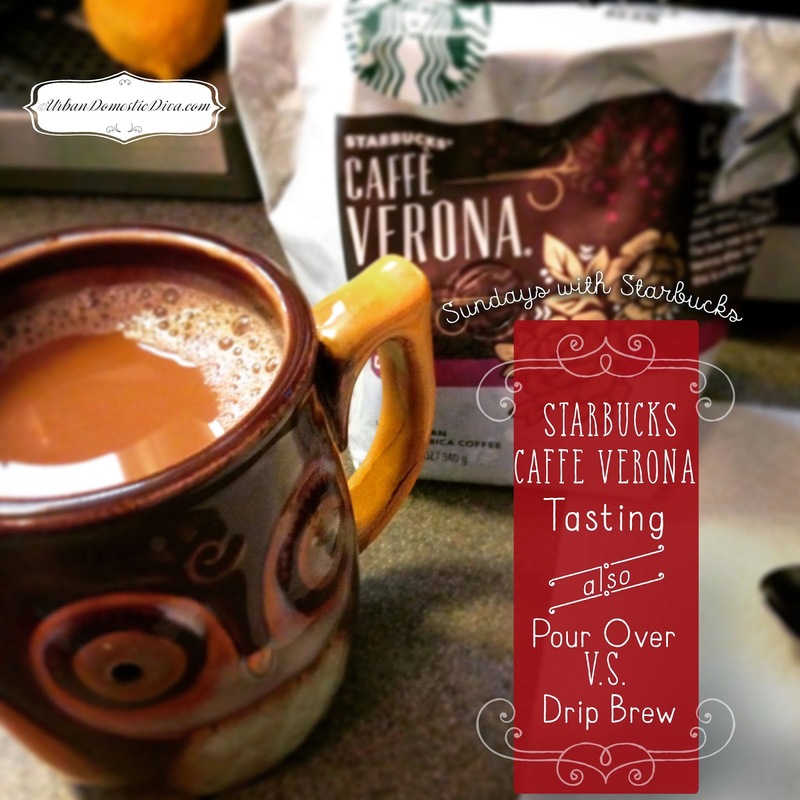 In brewing this Caffe Verona, I also wanted to try my hand at a pour over brew and taste the difference it makes versus a typical drip brew. I have seen pour over brewing around the city, and have heard it is really the best way to experience the complex flavors of coffee. 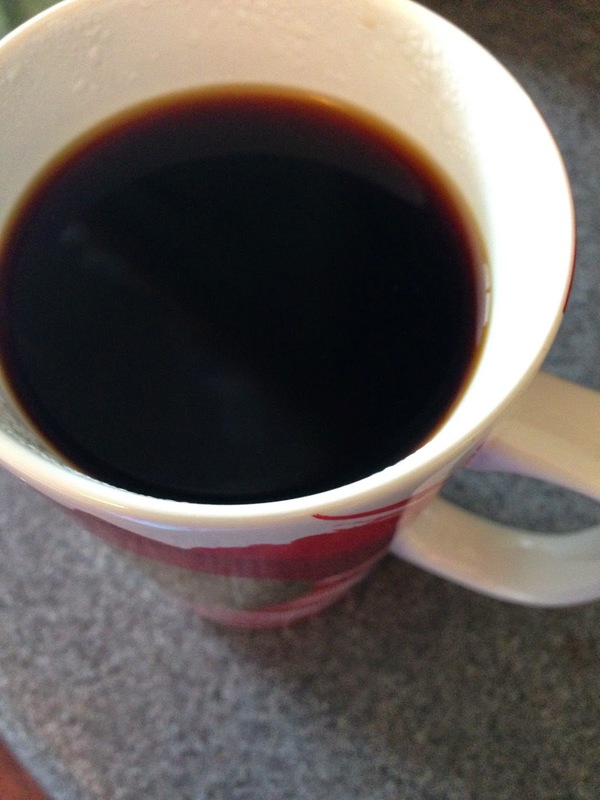 It is slower and more manual, so it's a perfect brew for the weekend when you have more time. 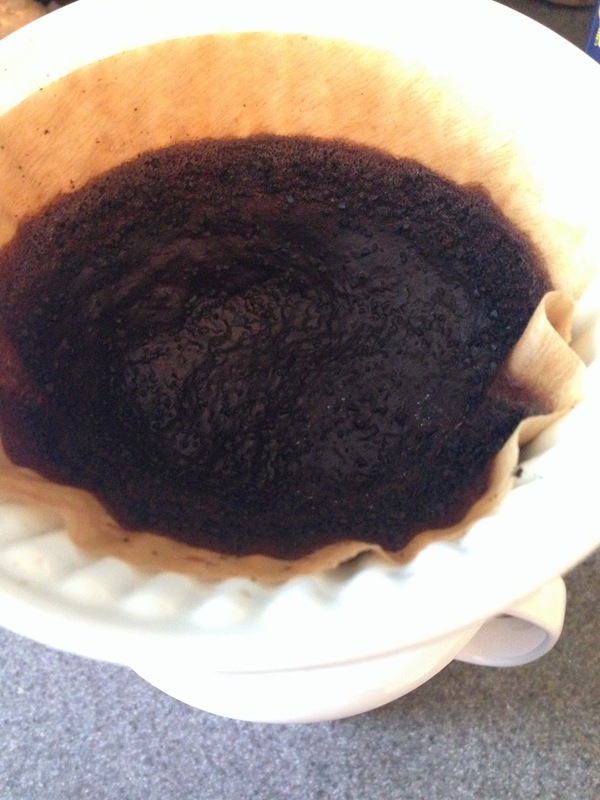 How does one make a Pour Over Brew? Let me show you, then I'll give you the down low on what my hubby and I tasted as the differences, as it relates to Caffe Verona. 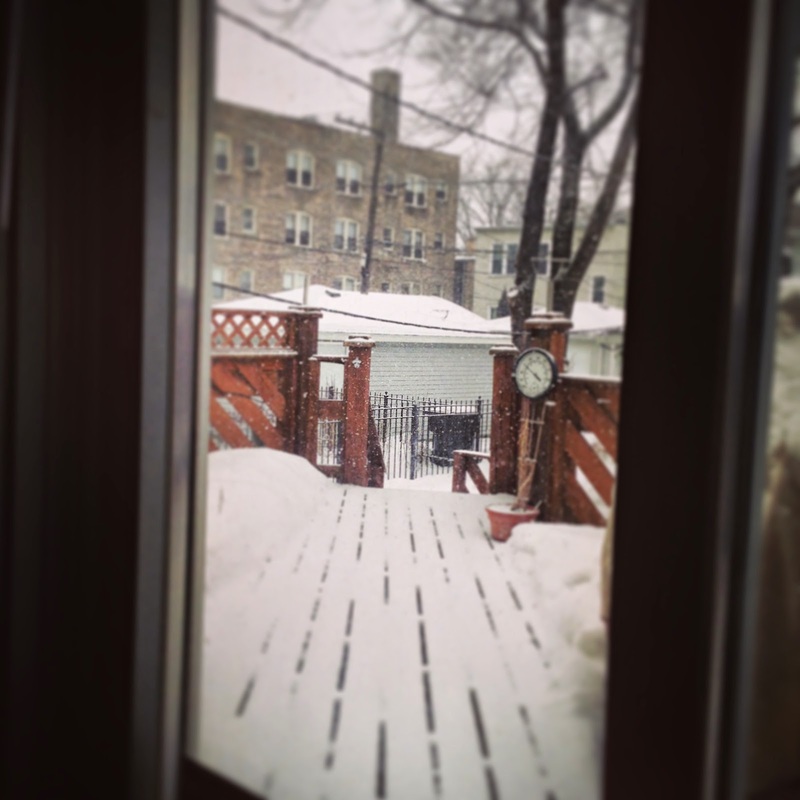 Of course it's a snowy Sunday in Chicago to boot, making it a perfect morning for a pour over brew! 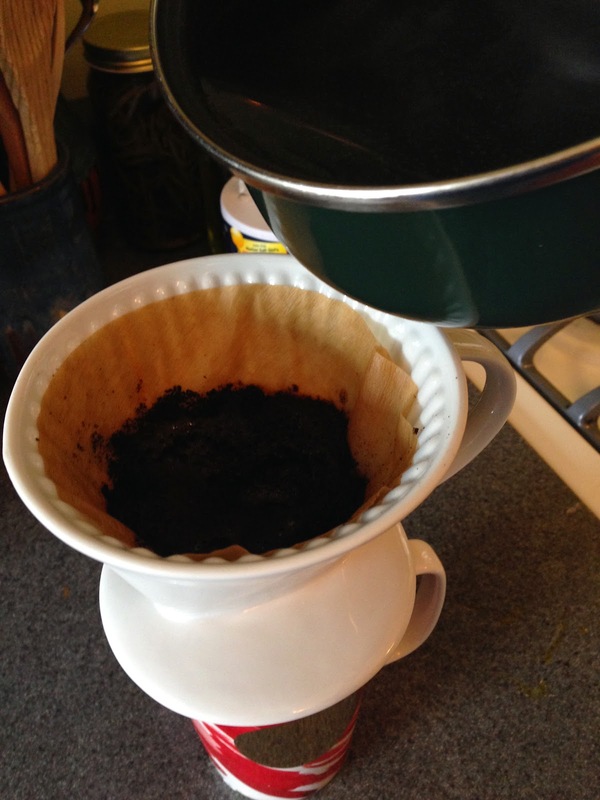 Meanwhile, use a cone paper filter that fits your pour over device. 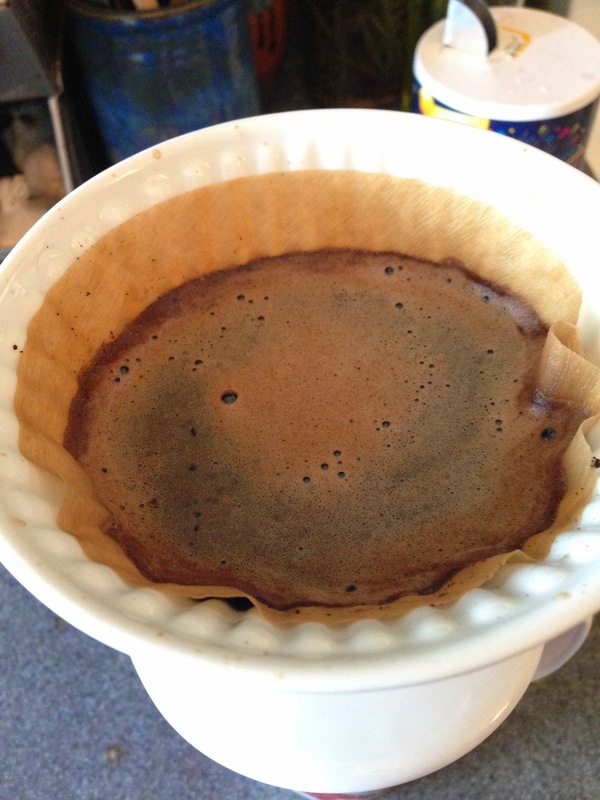 Wet the filter under warm water, squeeze out the excess water then line your pour over device with the filter. Set it on top of your cup. Measure and grind your beans. 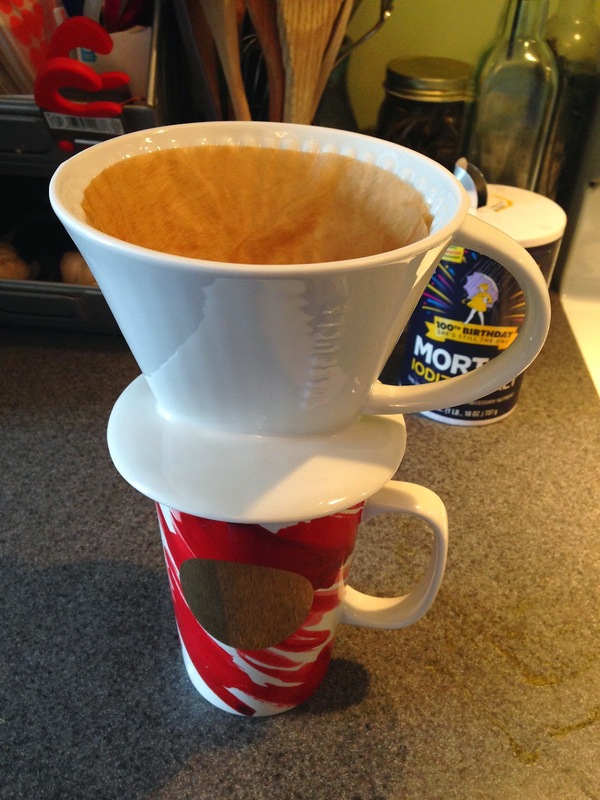 According to Starbucks pour over directions, you measure 2 tablespoons for every 6 oz. of water. 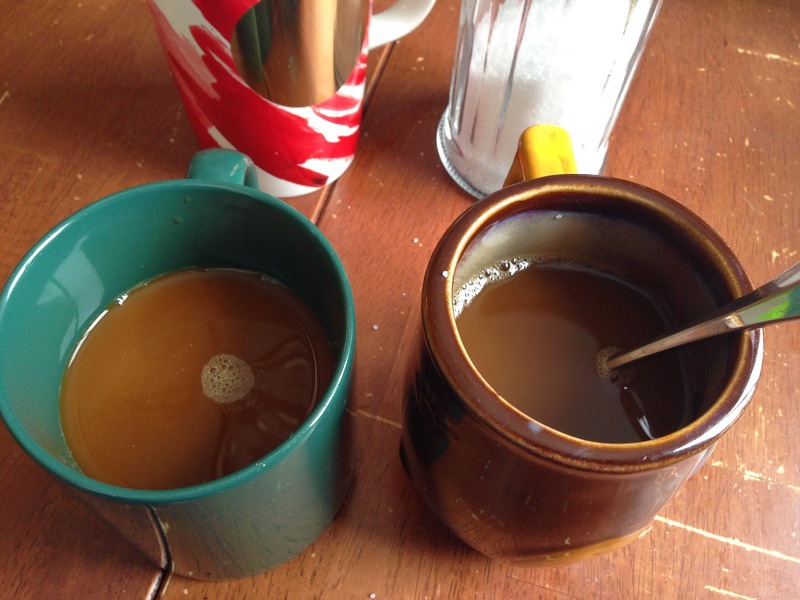 So for my 2 cups I measured 4 1/2 tablespoons of coffee, and ground it up finely. 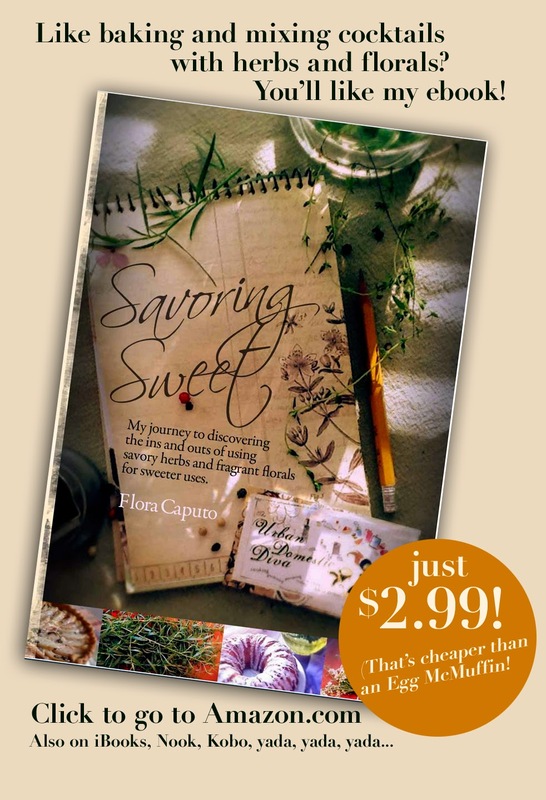 You need fine grounds for this approach, like the texture of sugar. 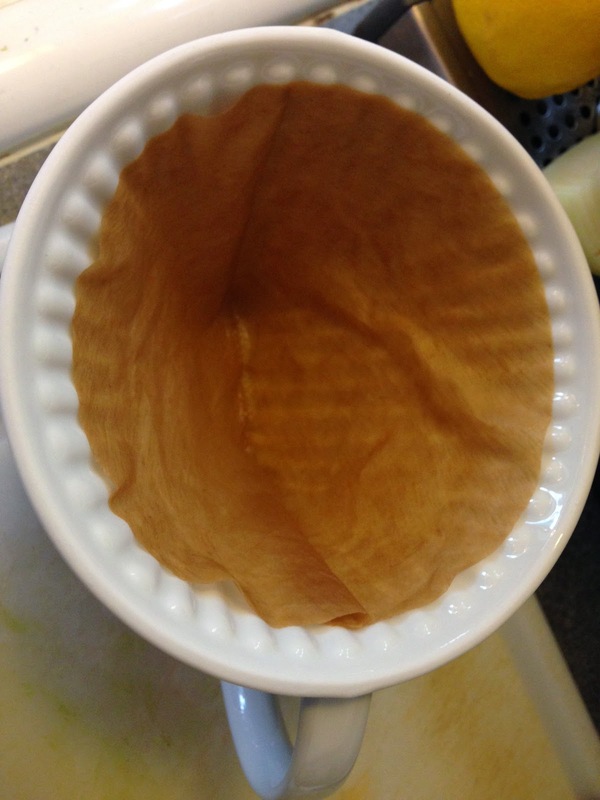 Once ground, place in the filter. 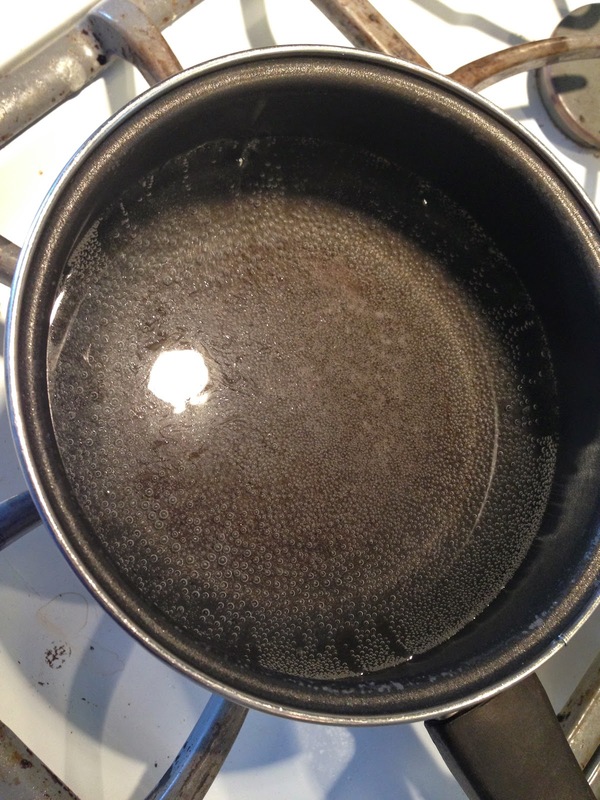 Take the water just off the boil and pour a little bit to just cover the grounds, slowly at the center. Now wait. Yes. 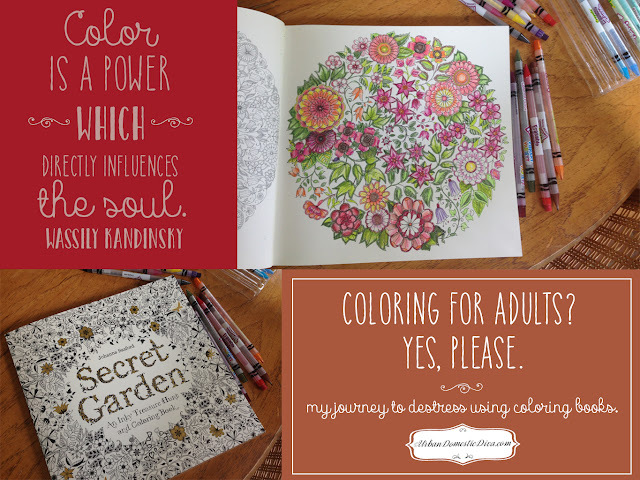 Wait about 30 seconds and let the grounds "bloom". Now gently and slowly, in concentric circles, pour the rest of the hot water onto the grounds. Try and keep away from the sides. Start at the middle and work outward in a slow steady stream. Stay 1/4" away from the sides. If things are filling too fast toward the top, pause for a few seconds, then continue. Once the water is all in, let it sit until it is fully brewed. You will know you're done when all the water has drained through and you just see grounds. Dress up your coffee and enjoy! 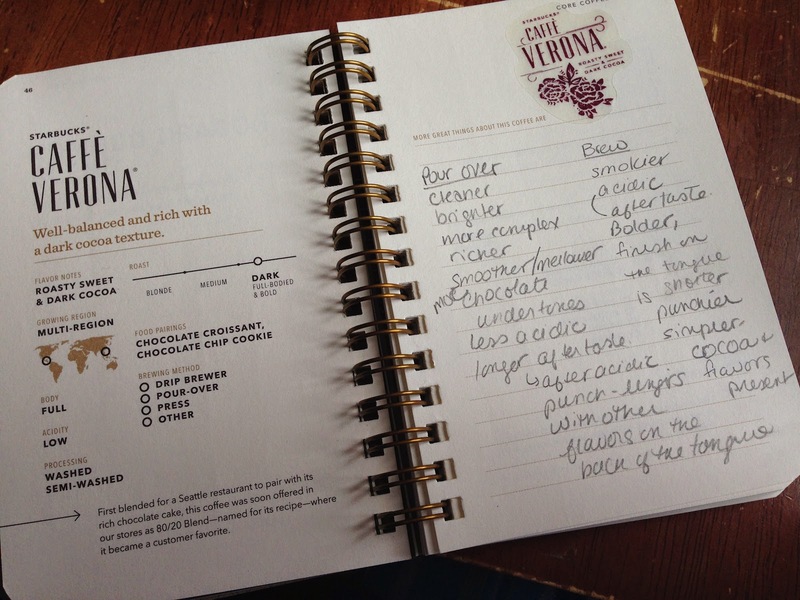 As mentioned above, Caffe Verona has a bold flavor with a lot of chocolate notes. 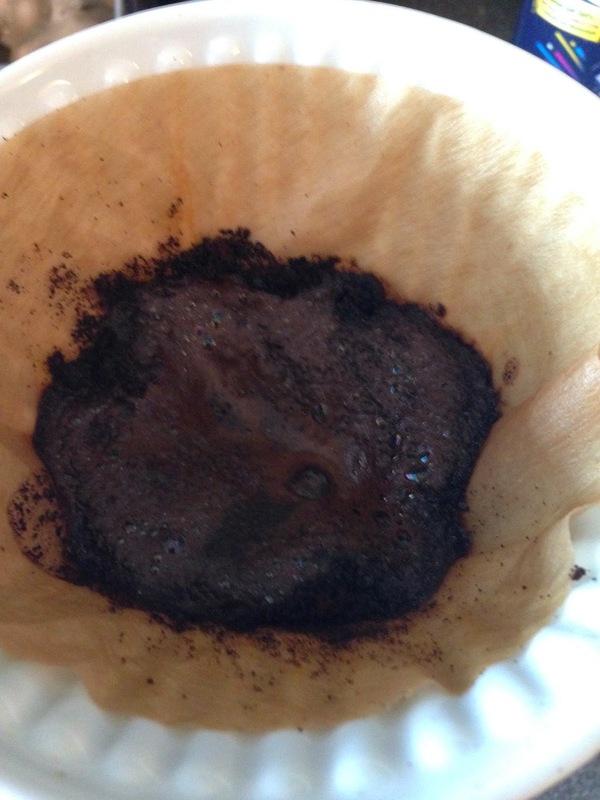 But you taste a lot more nuance in the pour over brew versus the drip brew. This was a really cool experiment. I really love the pour over! I think we may be hooked! I hope you enjoy this coffee chat! Come again! Stay warm! My tasting notes...it may be as fun as tasting wine, except I don't fall asleep after!